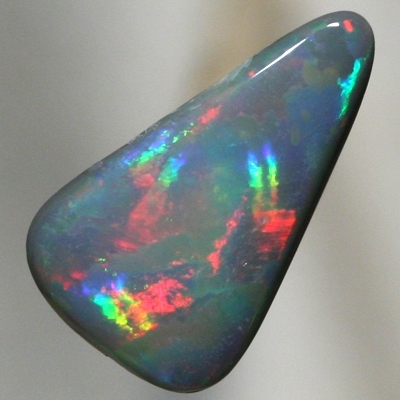 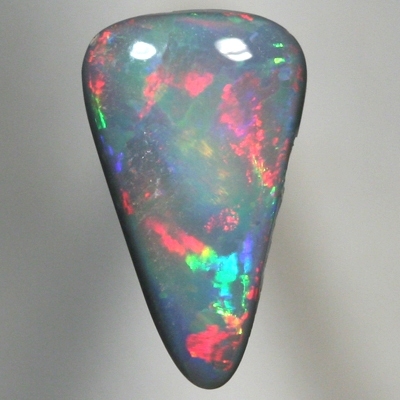 Never ending colour moves bright and strong in rolling flashes all over this opal. 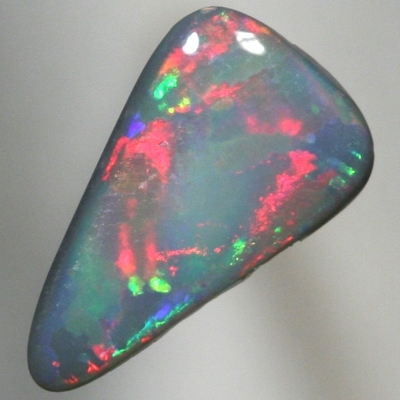 The rolling flashes continually show fire red contrasted by green and blue. 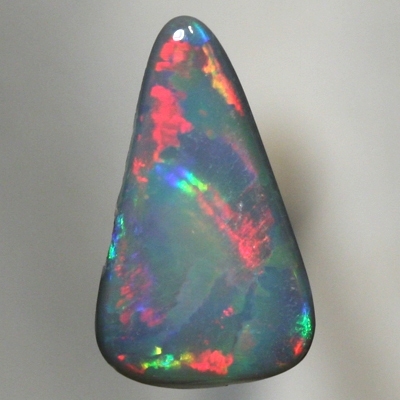 This is a pretty opal bursting with fire colours at the slightest movement of the opal. 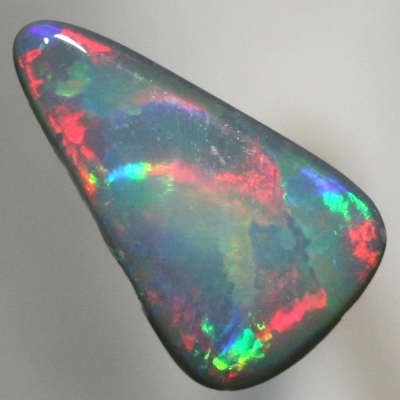 Great in all lights.